The updated Seat Ibiza features optional LED daytime running lights. BARCELONA -- Seat believes that an extensive rework to the Ibiza's design and the addition of new features will win its best-selling model even more customers. Strong demand for the Ibiza is crucial to the money-losing Spanish brand's turnaround plan as the subcompact accounted for 55 percent of the Volkswagen Group subsidiary's 350,009 sales in 2011. "The Ibiza is Seat and Seat is the Ibiza," Ulf Eberhardt, Seat's head of product marketing, said at the car's press launch here. In Europe, the current Ibiza, which is the third-generation of the car and has been on the market since 2008, accounted for 52 percent of the Volkswagen Group subsidiary's 311,217 sales last year, according to market researcher JATO Dynamics. Seat is counting on a product offensive that includes the face-lifted Ibiza, the new Mii minicar and the next-generation Leon to make the brand profitable by 2013. Seat reported a 225 million euro operating loss in 2011, which was an improvement over the 311 million euro loss it had in 2010. Seat says the subcompact gets most of its business from buyers in their 30s and 40s. Eberhardt believes the updated Ibiza will continue to appeal to those buyers because its new design is highlighted by the addition of optional LED daytime running lights and LED taillights. The optional LEDs allow Seat to create a unique light signature that makes the Ibiza immediately recognizable and distinctive, said Seat head of product management Wilko Stark. 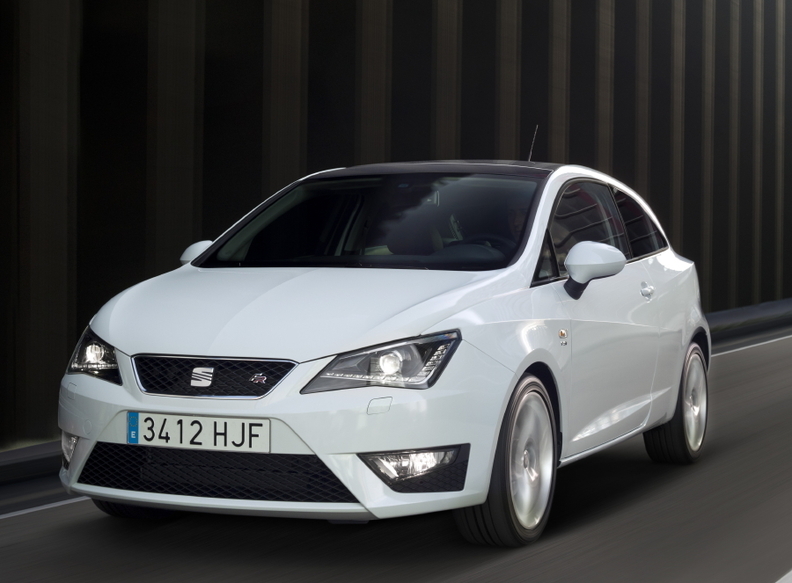 The Ibiza is crucial to Seat's success because it accounts for more than half of the brand's global sales. An additional upgrade in the new Ibiza is the option to stream music into the car from satellite radio stations via Bluetooth-enabled smartphones. While the revised Ibiza starts arriving at dealerships in Europe this month, the infotainment feature will not be launched until September or October. Another goal Seat has with the new Ibiza is for its station wagon variant to appeal to more young couples with small children. A small but important change to the Ibiza aimed at families is the increased size of the car's glove box, which now offers more than 10 liters of space, up from about 5 liters in the current Ibiza. "Young families just need more space for things in the car and that is why we made the glove box bigger," Eberhardt said. Stark said that the station wagon variant is expected to account for about 50,000 of the Ibiza's planned 200,000 worldwide sales. 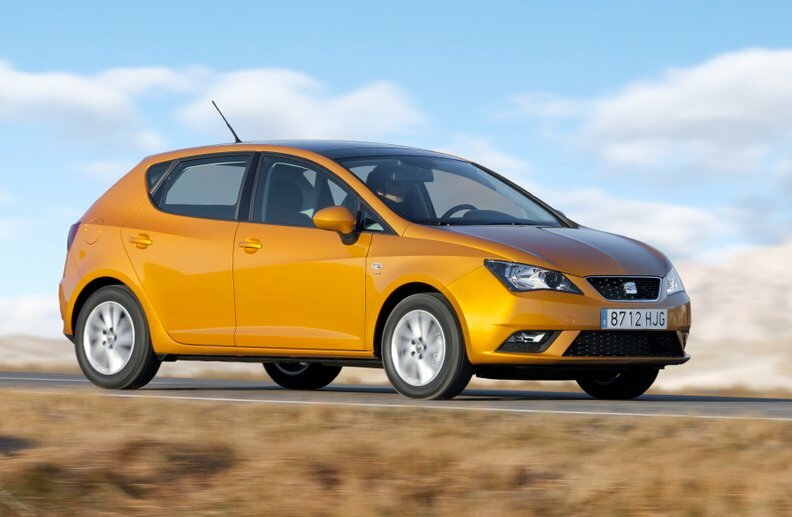 Seat declined to give a detailed breakdown of the Ibiza's 2011 sales, only saying that the car's five-door hatchback accounted for more than half of all sales, followed by the three-door variant and then the wagon. Eberhardt said Seat aims to increase its market share in Europe this year as well as boost the brand's global sales volume because of the brand's debut in China this year and the expansion of sales in Russia and Mexico. Since Seat debuted the Ibiza at the 1984 Paris auto show more than 4.65 million units of the car have been sold, making it the brand's all-time sales leader. What's good? Optional LED lights in the front and back give the Ibiza a more high-end look; more efficient powertrains. What's bad? The high-performance Cupra variant does not arrive until late this year. New technology: Bluetooth music streaming that allows customers with an Internet flat rate to listen to satellite radio stations.